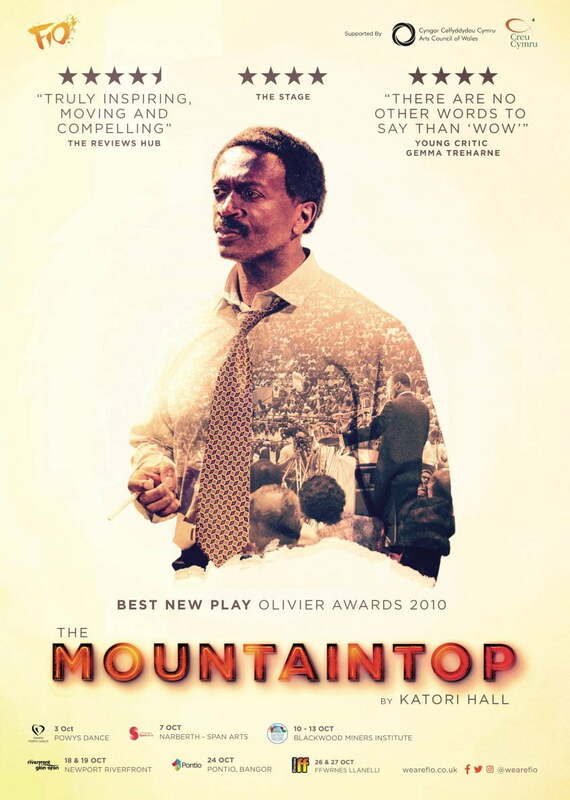 HomeEventsThe Mountaintop – Ffwrnes, Llanelli. The Mountaintop – Ffwrnes, Llanelli. ‘The Mountaintop is the fictional depiction of Martin Luther King’s last night on Earth. In his motel room in Memphis, King is visited by Camae, a maid on a much greater mission than delivering his coffee. Gripping, relevant and often humorous Katori Hall’s The Mountaintop won an Olivier for Best New Drama.